AGOURA HILLS, Calif., Jan. 10, 2019 /PRNewswire/ -- American Homes 4 Rent (NYSE: AMH), a leading provider of high quality single-family homes for rent, today announced that the Board of Trustees has expanded its board to 11 members and elected Wendy Webb and Jay Willoughby as independent trustees, effective immediately. "We are very pleased to welcome Wendy and Jay to our Board as new, independent trustees," said David Singelyn, American Homes 4 Rent's Chief Executive Officer and Trustee. "Their wide-ranging business expertise will bring valuable perspective and fresh insight to our business strategy and support our drive to grow long-term shareholder value." 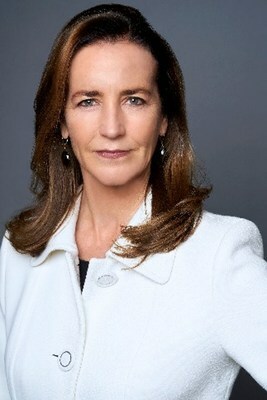 Winifred (Wendy) Webb is Chief Executive Officer of Kestrel Corporate Advisors, which advises corporations on growth initiatives, governance, investor relations and strategic issues. Previously she was Managing Director at Tennenbaum Capital and Chief Communications and Investor Relations Officer at Ticketmaster. Her background includes 20 years as an executive at The Walt Disney Company, including as Senior Vice President of Investor Relations and Shareholder Services, responsible for the company's strategic and financial communications worldwide, and as Executive Director of The Walt Disney Company Foundation. Ms. Webb is currently a member of the board of directors of Wynn Resorts and of ABM Industries. She previously served on the board of directors of TiVo, Inc., of 9 Spokes and of Jack in the Box. She also serves as Co-Chair of non-profit Women Corporate Directors (WCD), Los Angeles/Orange County Chapter. Jay Willoughby is the Chief Investment Officer of TIFF Investment Management where he is responsible for allocating capital on behalf of over 600 non-profit institutions for whom TIFF manages capital. Before joining TIFF in 2015, Mr. Willoughby spent four years as the Chief Investment Officer of The Alaska Permanent Fund, with approximately $50 billion in assets and which was an early investor in American Homes 4 Rent. Previously, he was co-managing partner at Ironbound Capital Management and spent nine years with Merrill Lynch Investment Managers, LP as CIO Private Investors Group, head of research for Equity Funds and as Senior Portfolio Manager for the Merrill Lynch Real Estate Fund. Mr. Willoughby has been in the investment business for 35 years. 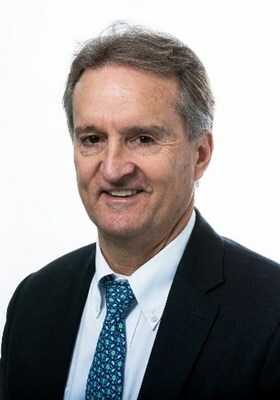 He is a CFA charterholder and serves on the board of the Sustainability Accounting Standards Board (SASB) Foundation, which supports the development of accounting standards that help investors understand which sustainability factors can have a material impact on the future financial performance of individual public companies. American Homes 4 Rent (NYSE: AMH) is a leader in the single-family home rental industry and "American Homes 4 Rent" is fast becoming a nationally recognized brand for rental homes, known for high quality, good value and tenant satisfaction. We are an internally managed Maryland real estate investment trust, or REIT, focused on acquiring, renovating, leasing, and operating attractive, single-family homes as rental properties. As of September 30, 2018, we owned 52,464 single-family properties in selected submarkets in 22 states.